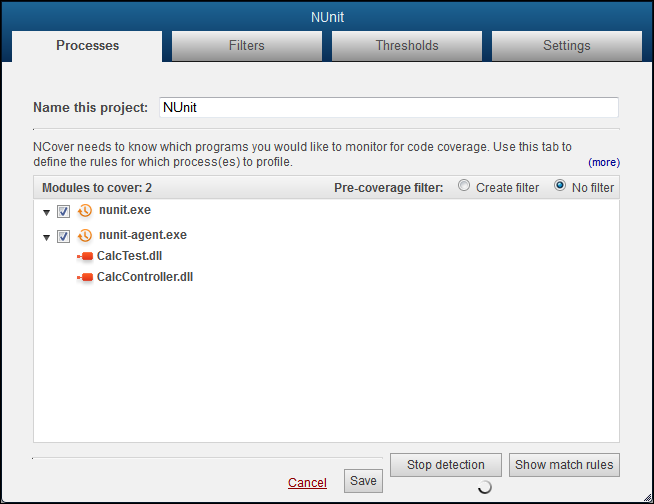 From the Home, or Project, view of the NCover Desktop, click Add New to open the "Create a New Project" window. 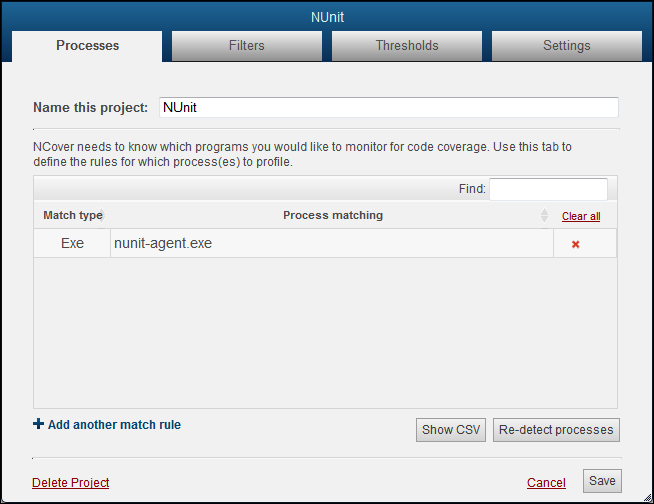 The Regex option would be "nunit-agent.exe", or even simply "nunit-agent". Start the test runner, and the executables and assemblies that are being loaded during your testing will display in the detection window. Review the list and uncheck any items that shouldn't be covered. For example, you may want to include the nunit-agent.exe., but not the nunit.exe (the GUI). 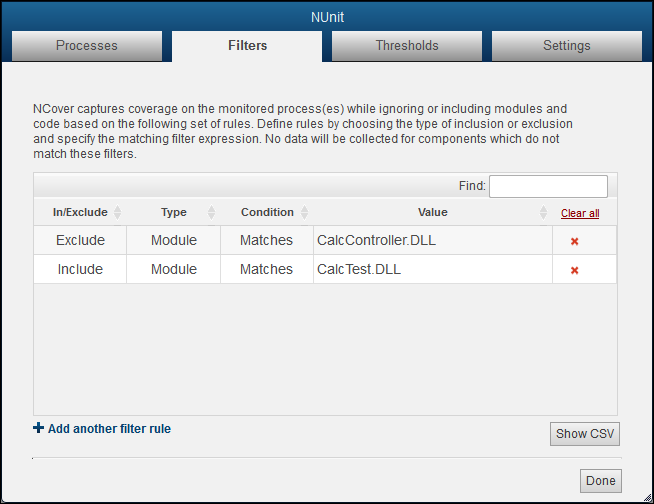 We also want to create an Exclude rule for the CalcController, since it is simply entering test data, and an Include rule for the CalcTest, which contains the actual unit tests. 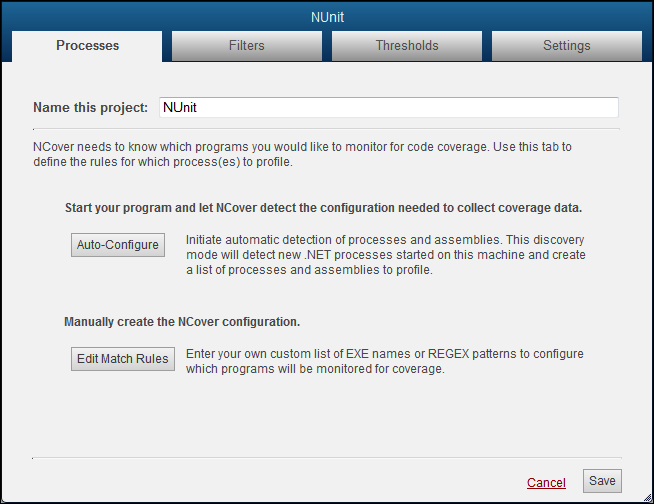 Note: NCover can only collect coverage on one process at a time. If you have three Desktop projects that monitor NUnit, only the project you are currently testing should be enabled. Disable the other two projects using the slider button on the GUI. 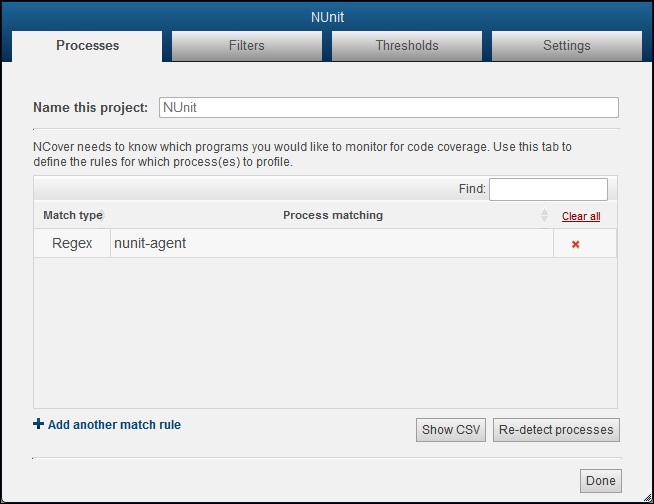 Then, restart IIS and you should get coverage on the enabled project only. When your project selections are completed, re-start your test runner and run your unit tests. 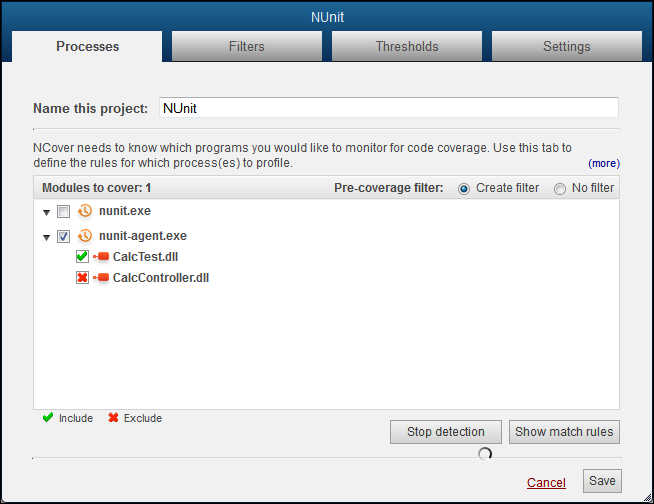 When your NUnit tests are complete, close your test runner to stop profiling and allow Desktop to collect coverage data. When the data is aggregated, the results will be automatically displayed below your project on the Project view.